Ariel Flores also hailed the “potential” contained in the oil province, which is known for its harsh environmental conditions. Last month BP celebrated first oil from its sub-£5 billion Clair Ridge project, located west of Shetland, and is targeting 640 million barrels from the development over 40 years. The announcement came about 18 months after the start of production from Quad 204, a £4.4bn project expected to yield 450m barrels through the Glen Lyon floating production, storage and offloading vessel. 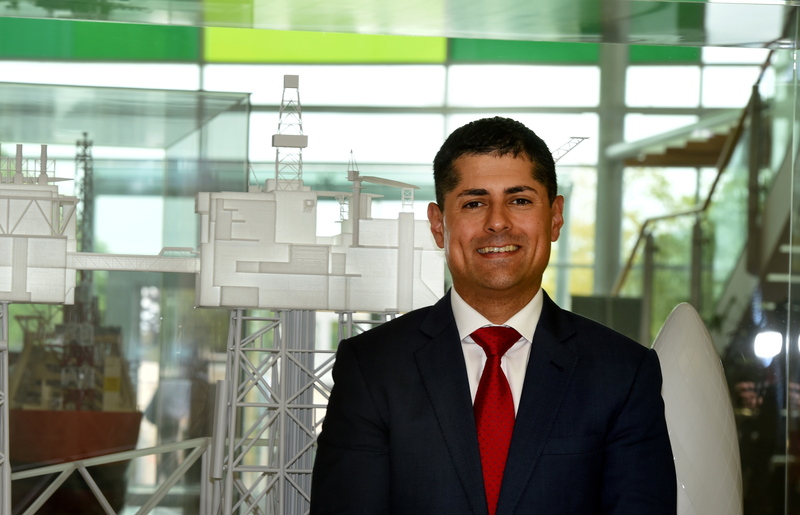 Speaking exclusively to Energy Voice in the run up to Clair Ridge first oil, Mr Flores revealed that BP had endured a “challenging first year” on Quad 204. But Mr Flores said the development had started to live up to its potential in the last few months. He said: “We encountered many challenges. Most developments start up with dry oil and you gradually start producing water and get water injection going. “This was a start up with a mature reservoir with high water content and different reservoir pressures and environments. “That introduces a lot of challenges and we’ve worked through them over the last 12-14 months. “We are now very close to capacity for Glen Lyon. We’ve reached a peak of 130,000 barrels of oil equivalent per day. “It’s been much more stable recently than it has been since start up. “The FPSO is state-of-the-art and with that comes complexities,” he said. “We’ll probably encounter that on Clair Ridge. “Technology is great but it does add potential for certain bugs to trip us up. “You work through those. There’s a little bit of teething pain, but in the long run it makes a massive difference in cost efficiency. It means that subsea tieback projects for marginal fields are now attractive. The Oil and Gas Authority recently sanctioned two tieback projects operated by BP. Alligin is expected to pump out 20m barrels, while Vorlich is capable of 30m. Alligin will produce from two wells tied back to the existing Schiehallion and Loyal subsea infrastructure, using the processing and export facilities of Glen Lyon. Vorlich, a two-well development 150 miles east of Aberdeen, will be tied back to the Ithaca Energy-operated FPF-1 floating production facility. Mr Flores said: “The basin had one of lowest operating efficiencies globally. “When we’re looking at a tieback, the host is a factor. Their operating efficiency has improved and our hubs have improved dramatically. “That makes the host more attractive, which means 20-30m barrel developments are now attractive.